29-year-old was arrested two years ago on suspicion that he tried to strangle his baby daughter and has been receiving treatment. The main suspect in the gruesome murder of 16-year-old Mohammed Abu Khder is a 29-year-old resident of a community near Jerusalem who is known to have mental problems, it was released for publication Monday. Along with the main suspect, two other youths, both aged 17, are suspected in the murder. The three were remanded in custody until Friday and some were sent for psychiatric observation. Following those medical checks, it has been revealed that the central suspect has a history of deep psychiatric problems, according to police. He was arrested two years ago on suspicion that he tried to strangle his baby daughter and has been receiving psychiatric treatment ever since. That report echoes claims made a week ago by the suspect's father, who in pleading his son's innocent claimed that he "has psychological problems. He's a dear person and wouldn't have done something like this. If he did do something like this, it's because of his sickness." "The cousins are crazy for him, my son is crazy for him. They'd do anything he'd tell them. But he confessed out of illness, he's mentally sick. I don't believe that he would do something like this, but I know that he is sick," added the father. He further noted that one of the minors arrested "takes pills too. He's a child who doesn't go to yeshiva because he has fears. I know each of these children closely. They are good kids who aren't capable of doing bad things. He (the main suspect) is psychologically sick, and he dragged them after him to it. He has an illness, everyone knows." Police investigation has found that on July 2, at 4:08 a.m., the police's 100 hotline received a report about a possible abduction in Shuafat, an Arab neighborhood in northern Jerusalem. Policemen erected roablocks and began combing the area in search of the car and suspects, in accordance with descriptions that were received. In the course of the investigation police found evidence which indicated that the abducted youth may be in the area of the Jerusalem Forest. At 5:20, his charred body was discovered in the Jerusalem Forest by police. The investigation included scanning footage from public and private security cameras along the abductors' route of escape. CCTV footage at the scene of the crime showed the suspects engage their victim in a brief conversation, then pushing Abu Khder into their car and driving off. The car's license number or color were not visible in the videos and did not play a part in identification of the suspects. Other investigative actions by police and Israel Security Agency (ISA, or Shin Bet) provided identification of the vehicle that was used by the suspects, and it was located in a community near Jerusalem on July 5. On the next day, Central Unit policemen and ISA agents arrested six suspects – three adults and three youths. Further investigation showed that only three of them were directly involved in the murder. Police also revealed that a month before the murder, two of the suspects set fire to a store belonging to an Arab in Hizme, on the outskirts of Jerusalem. On the evening before the murder, two of the suspects – the 29-year-old and one of the youths – drove to Beit Hanina with the intent of attacking or abducting an Arab youth in revenge for the kidnap and murder of three Israeli teenagers. They were in the neighborhood for about an hour before they located an Arab minor, attacked him and escaped. On July 2, they decided to take things further and abduct and murder an Arab. They looked for a victim in several neighborhoods in eastern Jerusalem and finally arrived in Shuafat. 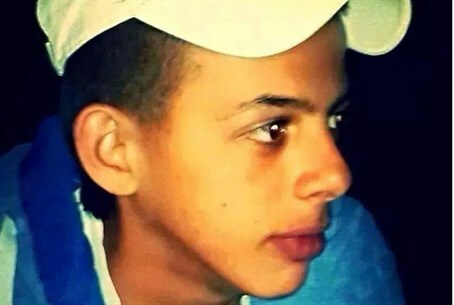 When they noticed Mohammed Abu Khder on his own, they abducted him, forcing him into their car, beat and stunned him, led him to the Jerusalem Forest, pushed him out of the car, poured flammable liquid on him and set him on fire. They then made their getaway. Shortly after their arrest, the three confessed to the crime and reenacted it for police. They said it was carried out in revenge for the abduction and murder of the three Jewish boys.